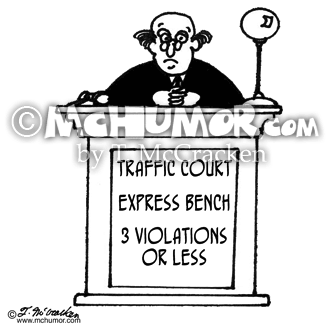 Court Cartoon 2998: At "Traffic Court" there's an "Express Bench, 3 Violations or Less." 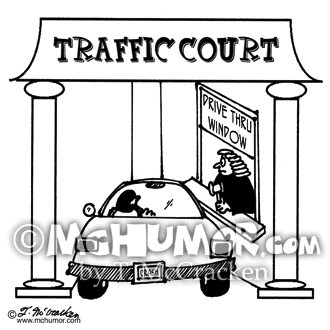 Court Cartoon 3259: At "Traffic Court" a man in a car is at the "Drive Thru Window." 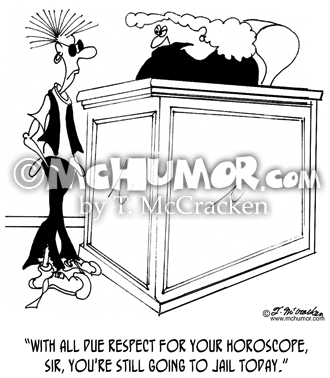 Judge Cartoon 6245: A driver with a body under his car says to a police officer, "A fine!? 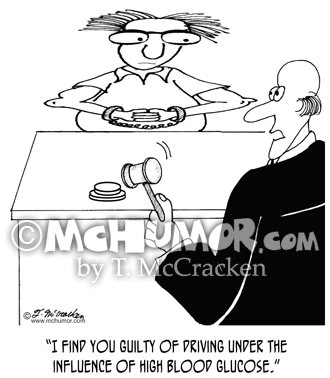 For running over one lousy judge?" 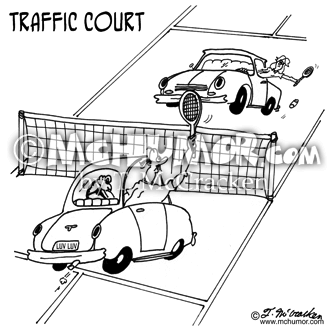 Tennis Cartoon 5216: "Traffic Court." 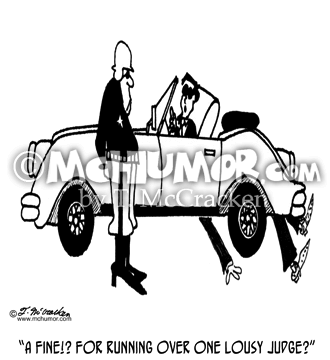 People play tennis from their cars. 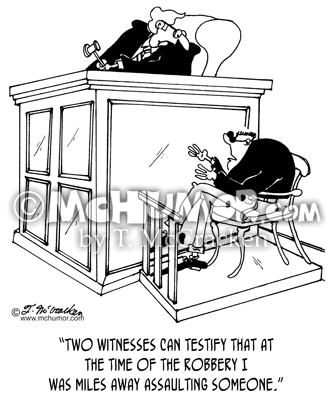 Crime Cartoon 5495: A man on the stand saying to the judge, "Two witnesses can testify that at the time of the robbery I was miles away assaulting someone." 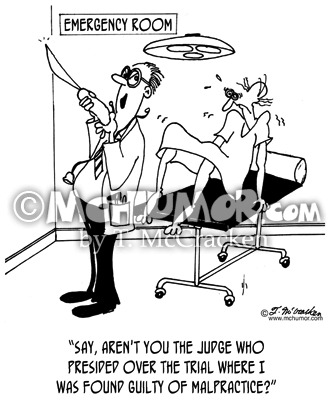 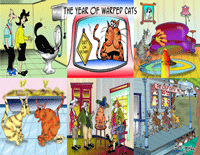 Judge Cartoon 6248: In an emergency room a surgeon with a vast scalpel saying to a terrified patient, "Say, aren't you the judge who presided over the trial where I was found guilty of malpractice?" 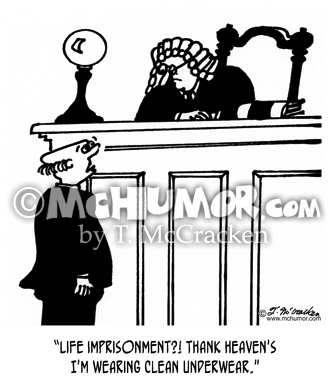 Prison Cartoon 6246: A man in front of a judge says, "Life imprisonment?! 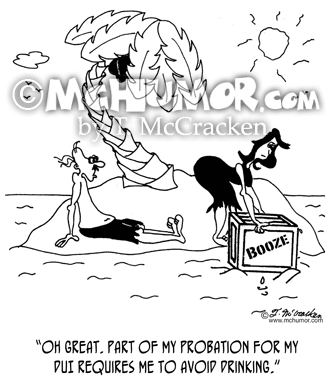 Thank heaven's I'm wearing clean underwear."